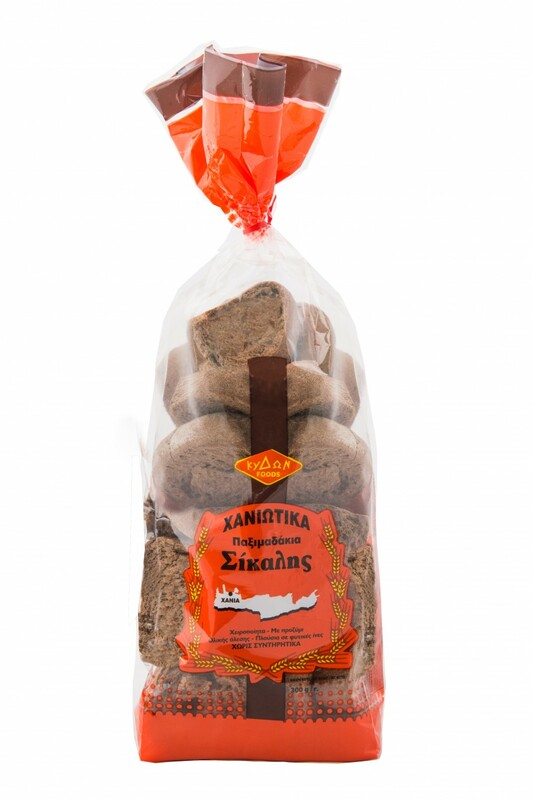 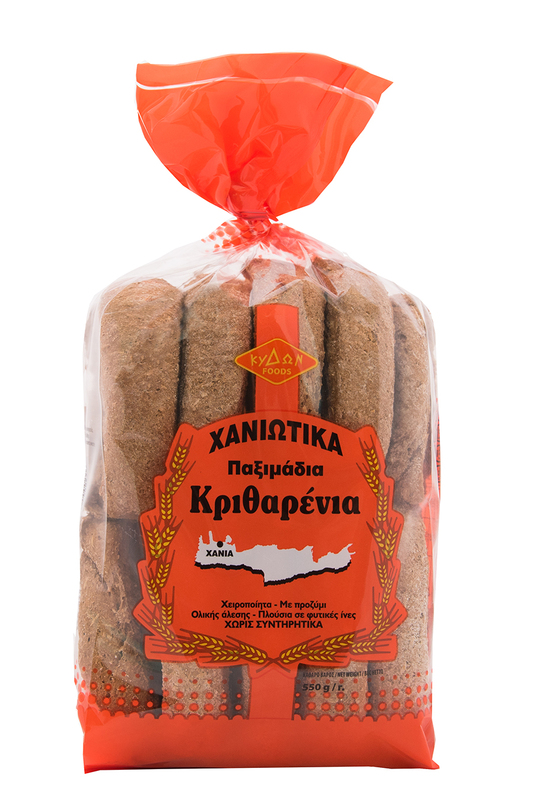 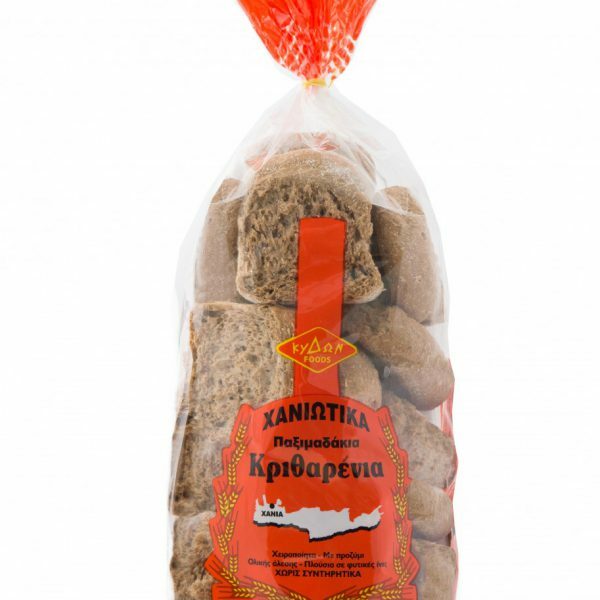 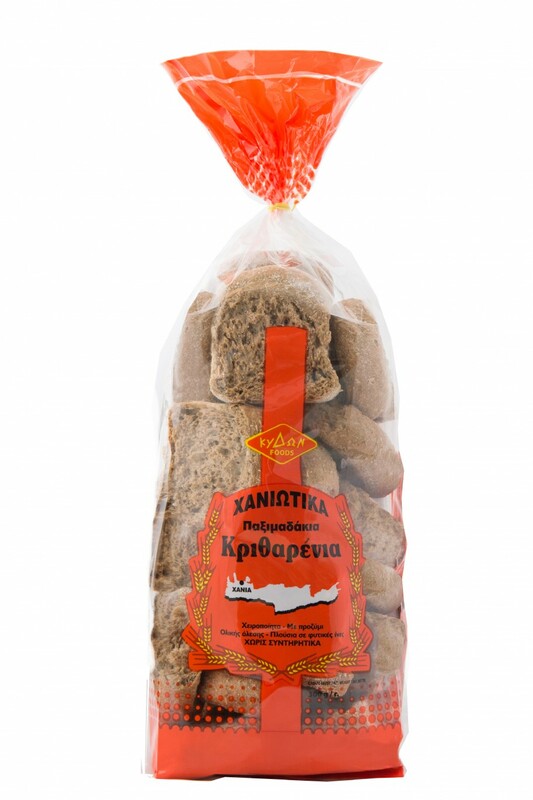 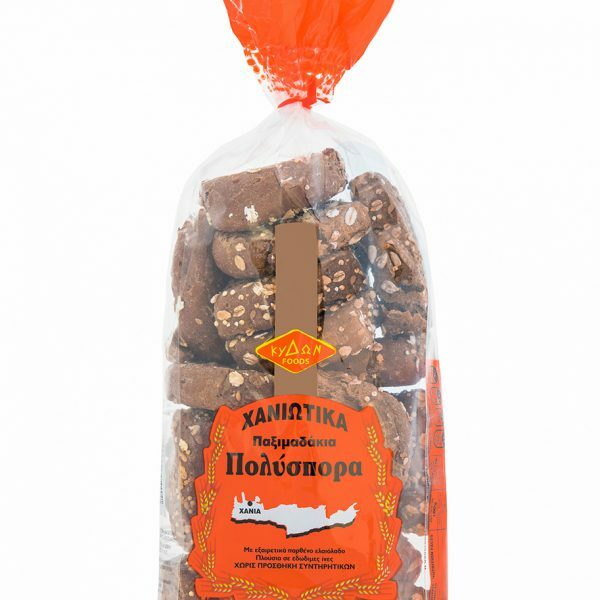 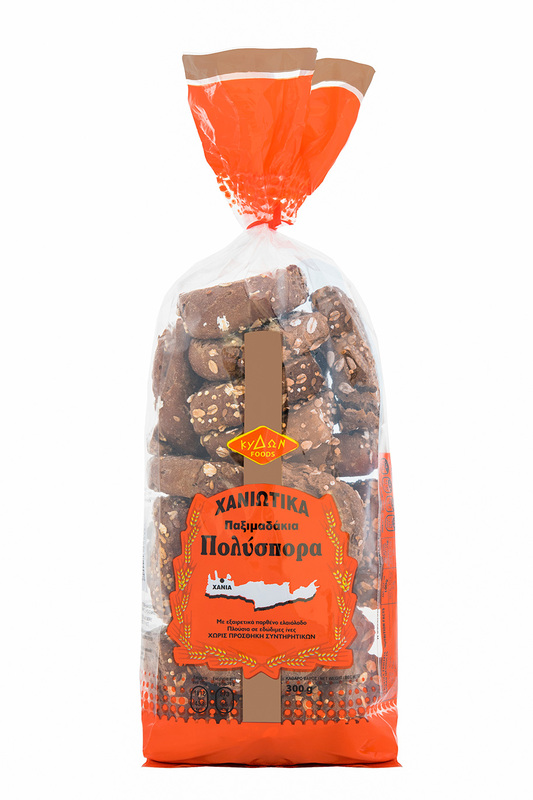 Crunchy rusks and healthy, snack for those who are watching their diet, without depriving its special flavor and unique quality of a handmade without preservatives separate Cretan rusk. 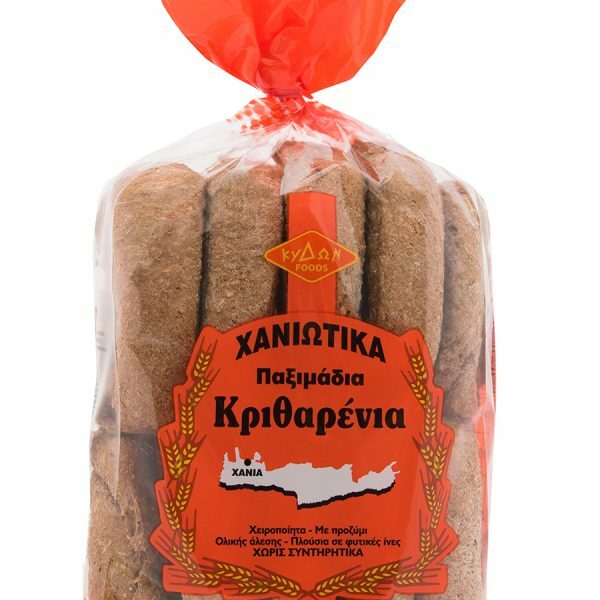 Plenty of fiber and vitamins, low in fat and sugar, is the ideal accompanying the Mediterranean diet at all hours of the day. 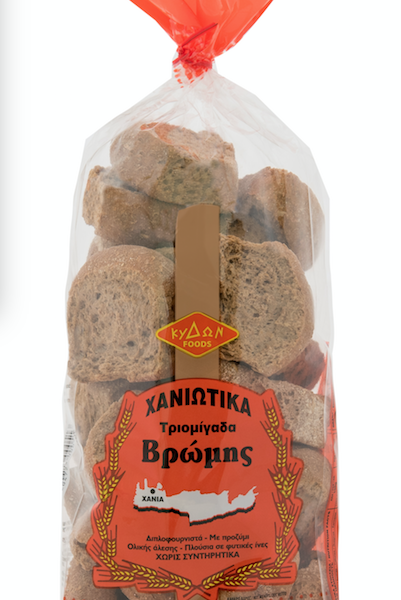 Ingredients: Whole grain rye flour (60%), rustic wheat flour (40%), salt, yeast leavened.